Well, here it is. Four and a half years later, this is the last hurrah, and after a slew of little exclusives finishing off what was left to be said, the overwhelming Tale of the Brave, the 30th birthday of the TV show, and much later than planned, this is the final furlong of the blog. Roll Along Thomas was not meant to last forever. 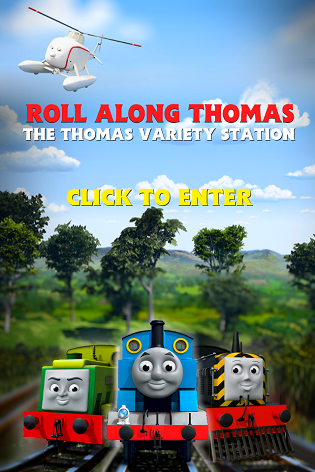 I begun it as a tool for any necessary findings within Thomas and used it, at the time, to publicise any videos I would have coming up on my dedicated YouTube channel, nowadays called The Thomas Variety Station, a subsidiary for Roll Along Thomas. I then realised that I could use this to essentially be a peoples companion to anyone on the look out for news of the brand. A hub in some ways, but a collective to promote merchandise, the TV series and The Railway Series. It dawned on me that the popularity had increased among the fandom and I am still humbled by the recognition to this day. But with my acting studies and my opportunities in the profession rising, I knew I had to slow the blog down. To condense, I just resided with the fact that not everything needs to be blogged, because I didn't have time, in later days, to talk about the most minute of things and instead focused on the more major news emerging. I even had to return to my desktop when abroad or react quickly on mobile while studying elsewhere. That's how mad its been. But personal prospects can take over you and not everything can last forever. Now as a BA adult student, I am so fixated in the amount of work that is required to write, perform and be disciplined with, that I am extremely distracted to even think about the internet. I'd like to know how others can really find the time to go back to their most known hobbies. When there's career prospects you are working towards, the important thing, for me, is to focus on that. I am blessed of those higher up and those associated who I have interviewed, spoken to and have met, enabling me to attend official launches and corporate events, leading me to become an occasional reporter for Doctor Who News (and to have been given the chance to have interacted infront of the legendary Tom Baker himself!). A few to mention include Ben Small, Michael Brandon, Ian McCue, Sam Blewitt, the many representatives at Hit and Mark Moraghan for being so generous with their time to converse and for granting their blessings. It was also gratifying to have shared words in-front of Veronica Chambers and her late sister. The saviour that is Hilary Fortnam. I hope to hear if it was worthwhile for all of you reading my work. There's so much in the archives. In some respects, I don't think I was appreciated enough. Being forgotten in lists and the odd few coming back to me then relegating vice-versa. Reading carefully can justify the correct mood that's coming across. I'd like to know what my reward is. Thank you for using me as your guide for the world of Thomas and for following what I do. It allowed me to develop creativity in my mind and to gift the world. I grew to know more about how important policies were and to respect one another. Its been my duty therefore to gift the audience out there as I've matured and aged as a human being. I will continue to tweet about Thomas when I feel the need and to watch the show itself as a fan religiously. If you want to know why I did this apart from the families who wanted to find ways to treat their children, I did it for the fans. I wouldn't want to pass the baton on to anyone to take over as I probably would be sceptical about the writing style and the requirements of the format. I do hope I have signalled many to push with their own blogs or websites, to do what they do, and to not do a copy and paste job of what I have done. I hope I will be surprised. For you all, I can only promise you that big things are in store for Thomas & Friends in 2015. With The Railway Series 70th anniversary fast approaching, expect some big surprises. A few very special events, commendable additions, returning characters, the next special and a real game-changer is afoot. What area does that entail? In the words of The Fat Controller, you will see that some things are worth waiting for. Would I ever go back to writing here or for the world? That I can't answer. It would have to be on conditions. On a lighter note, and a bit of a lovely parting gift, its perhaps slightly ill-timed and bittersweet that my baby has been given an endorsement. C'est la vie Roll Along Thomas. See you on the other side. Sayonara, Roll Along Thomas... no longer will I be able to learn of major news updates every time I visit here. It was fun visiting here while it lasted. Such a bittersweet send-off, but a long time coming. I once again commend you for your contributions, and for all the time you've dedicated. I wish you all the best in your expanding career. So long! Well, thanks for the last few years. This blog was very good when it came to exclusives, but overall, the Thomas and Friends community and fanbase just isn't anything like other franchises. No one is ever on the same page and we're usually slow at discoveries, and this never always had the latest news, but no other fansite does. I don't speak like this in person but that's what I truely think. All the best for the future. I guess if we want to try and stay up to date, we'll look at the official worldwide Thomas Facebook pages, Twitter accounts, the official Japanese website blog, HiT Entertainment's news page, the Mattel news website, Global License and other licensing news sites, and searches on Google News. This is so sad :'( I love this blog, and by returning characters I am hoping it's Daisy. Thanks for everything and good luck with life. 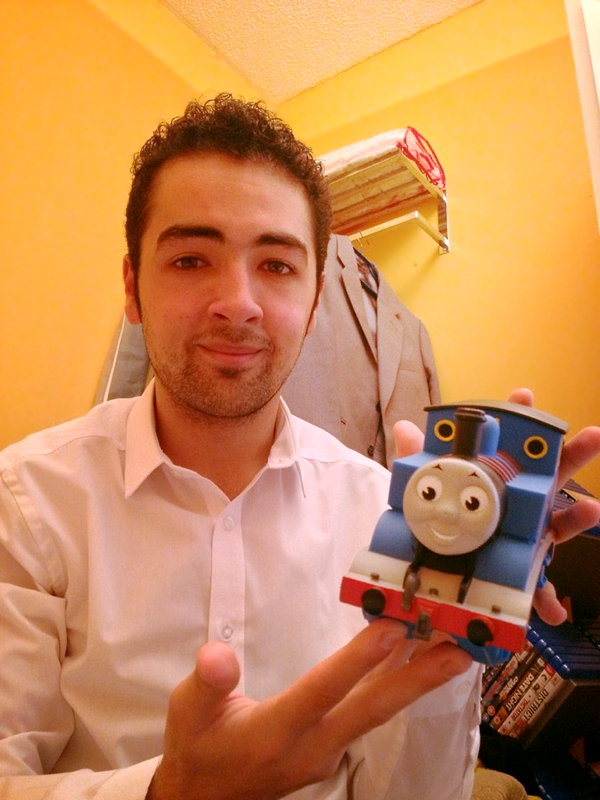 Your blog has been a fantastic source of Thomas news: bringing together the tv series, books and toys. Best wishes for the future.